​Cosmetic creams and lotions are used for a variety of purposes such as cleansing and moisturising. The ingredients of these will be different according to the desired use, however to some extent the basic manufacturing process is the same. Flake/powder ingredients, such as cetyl alcohol and stearic acid, sometimes dry blended in advance, are dispersed into the oil phase. Heating may be required to melt some of the ingredients. Active ingredients are dispersed in the appropriate phase. The water phase, containing emulsifiers and stabilisers such as Veegum® or Carbopol®, is prepared separately. The two phases are then mixed to form an emulsion. This is aided by heating to between 45 - 85℃ (110 - 185℉) depending on the formulation and viscosity. Mixing is continued until the end product is homogenous. Some ingredients can form agglomerates which conventional agitators cannot break down. Hydration of thickening and suspending agents is one of the most difficult of all mixing operations. Agglomerates can easily form and some ingredients require shear in order to develop their desired properties. 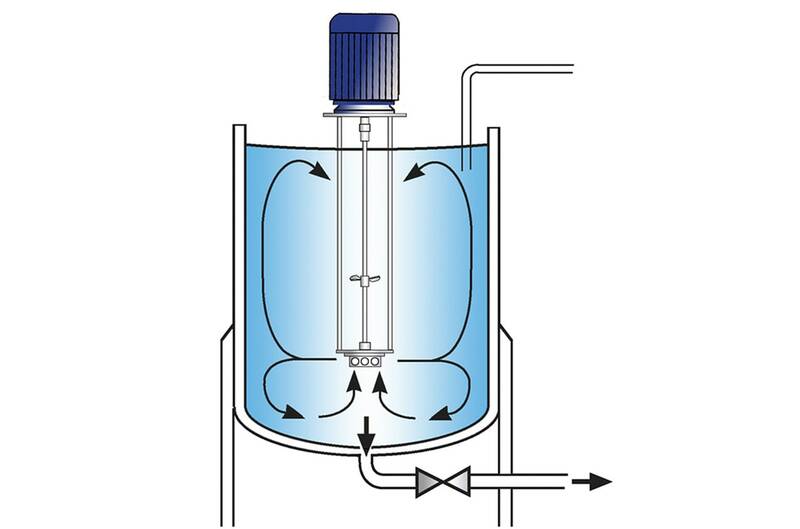 When adding powdered ingredients to the vessel, partially hydrated materials can build up on the vessel wall and parts of the agitator. 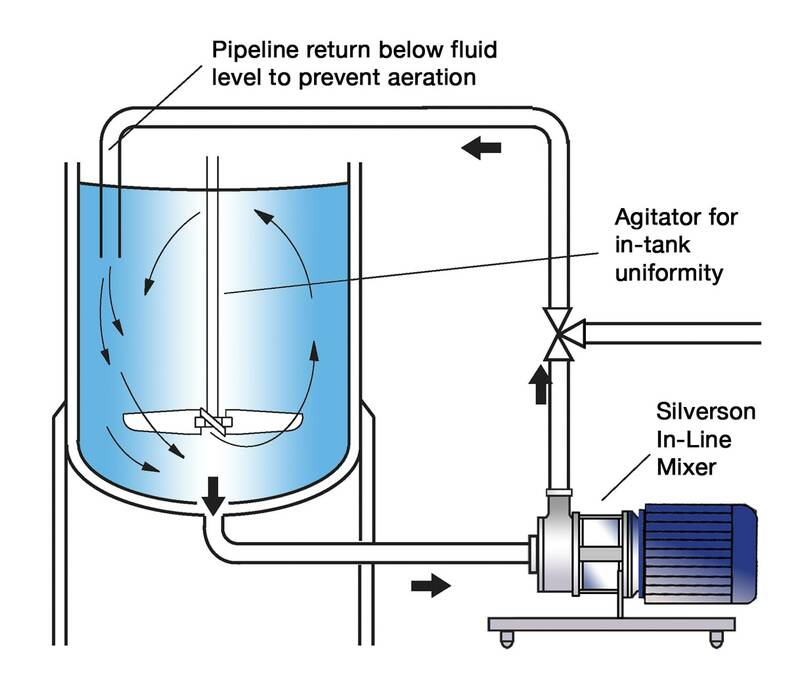 Agitators cannot easily form stable emulsions even when the oil and water phases have been heated. Long process times and additional equipment are often required to achieve a homogeneous product. The vessel is charged with the “continuous” phase. The Silverson mixer is started, and the solid/powdered ingredients are then added. The powerful suction created by the high speed rotation of the rotor blades draws both liquid and solid ingredients into the workhead where they are rapidly mixed. The solids are broken down in the precision machined rotor/stator workhead. The micronised powders and other ingredients are fully dispersed into the liquid before being forced out through the stator and circulated into the body of the mix. At the same time fresh material is drawn into the workhead. 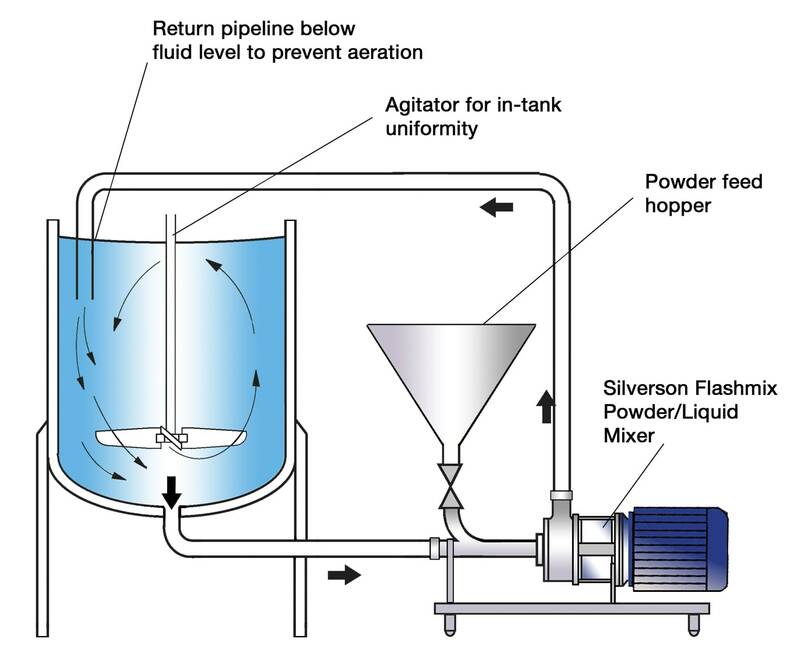 Once the powdered ingredients have been fully dispersed in the “continuous” liquid phase, the “dispersed” phase can be added to form the emulsion. 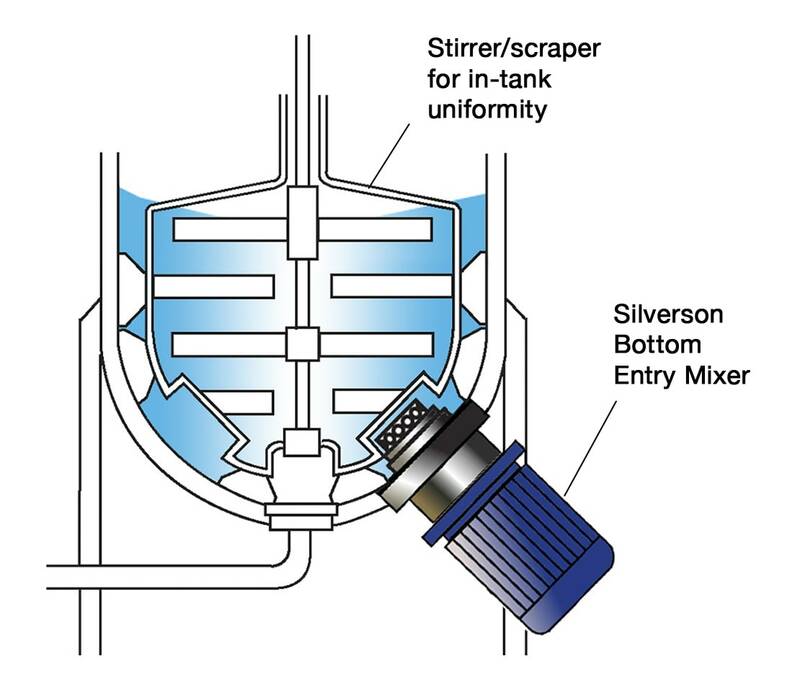 The high shear mixing action of the rotor/stator workhead ensures that the emulsion is uniform and stable. Maximised yield of raw materials as thickening agents are fully hydrated and other ingredients fully dispersed.